Most Android devices now come with native support for USB OTG (On-the-go) that allows users to connect standard USB input devices such as mouse, keyboard, and flash drive to their smartphone or tablet. 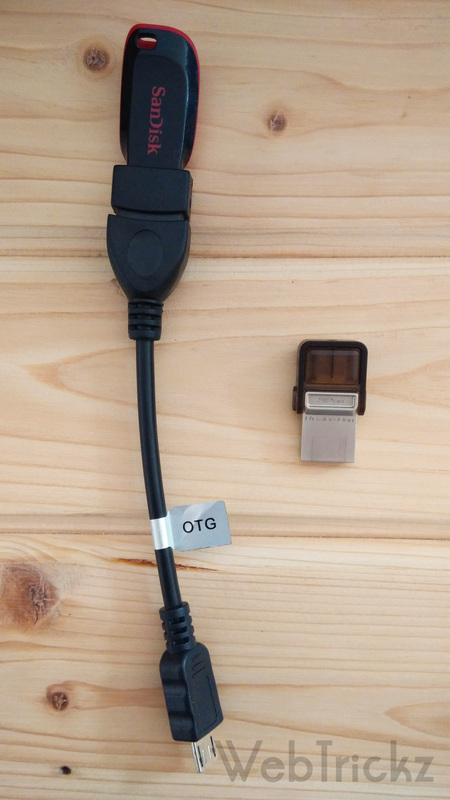 For USB OTG to work, your Android device must have a compatible Android OS, USB Host Mode drivers and a USB OTG cable to connect external USB devices. Nowadays, majority of Android phones offer USB OTG support and gone are those days when people had to carry a OTG cable to connect pen drives. The OTG pen drives are available from popular flash storage manufacturers like SanDisk and Kingston from quite a long time. They feature a micro USB connector on one end and USB connector at other end. The OTG pendrives are certainly useful for users having smartphones with limited internal storage and no support for microSD card. They can simply use these portable drives anytime to watch music videos, HD movies, photos, etc. 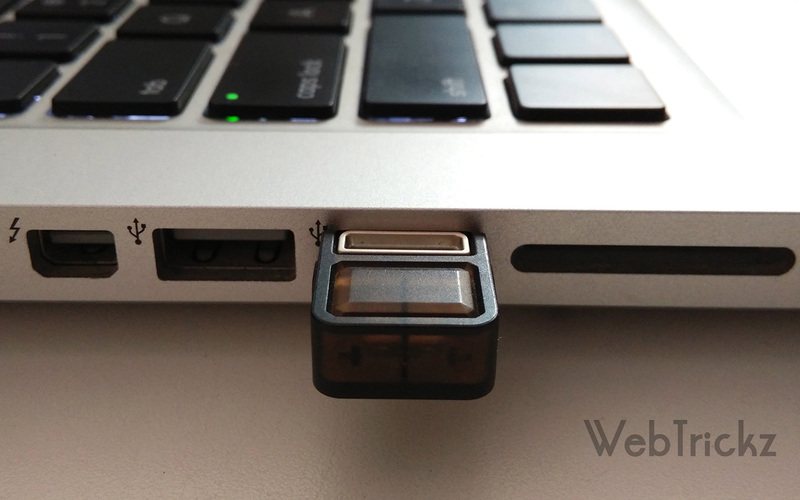 directly from the USB OTG drive itself. 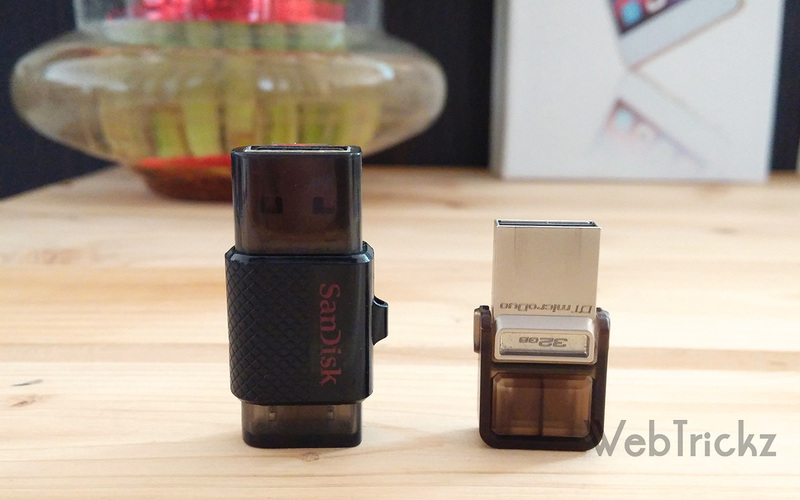 I’ve been using SanDisk Ultra Dual USB drive from a long time and found it to be extremely useful for my daily tasks. I don’t need to connect my phone every time to PC anymore for transferring data which is pretty convenient and all the data stored on the OTG pendrive can be easily accessed anywhere. Not to forget they look cool too unlike an OTG cable with pendrive connected to your high-end smartphone! Today, we will be reviewing MicroDuo on-the-go Pendrive from Kingston and will also compare it with SanDisk Ultra Dual USB drive, both with 32GB of storage capacity. Kingston DataTraveler microDuo is an ultra compact and stylish microUSB OTG flash drive, packing big storage and performance in a tiny form factor. The device comes with brushed silver finish that looks premium and features a non-removable rotating cap that securely covers the microUSB connector. It comes with a metallic key-loop to which you can attach the provided lanyard and add the drive to a keychain. 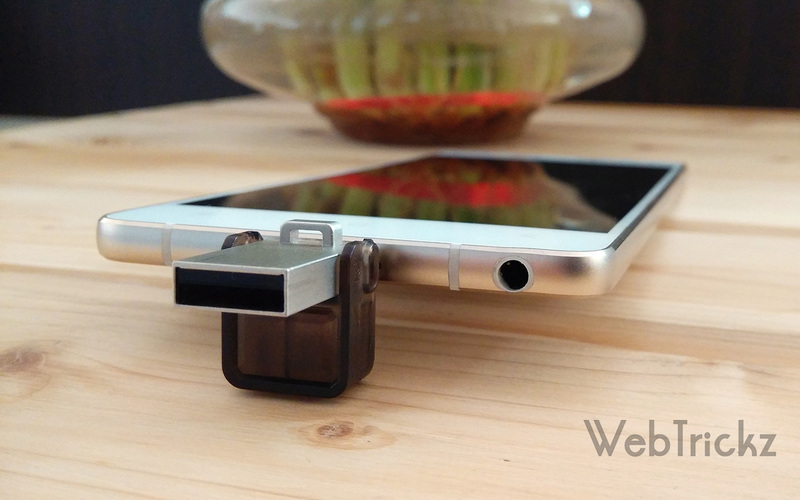 Its a 2-in-1 flash drive with microUSB and USB 2.0 connectors at each end that enables seamless file transfer between smartphones, tablets and computers. The drive measures 27.63mm x 16.46mm x 8.56mm in dimension and is available in 8GB, 16GB, 32GB, and 64GB capacities. Due to uneven design of the drive, it doesn’t lies flat on surface when placed upside down. The cap with a hinged design is strong and looks nice but isn’t really smooth to operate. 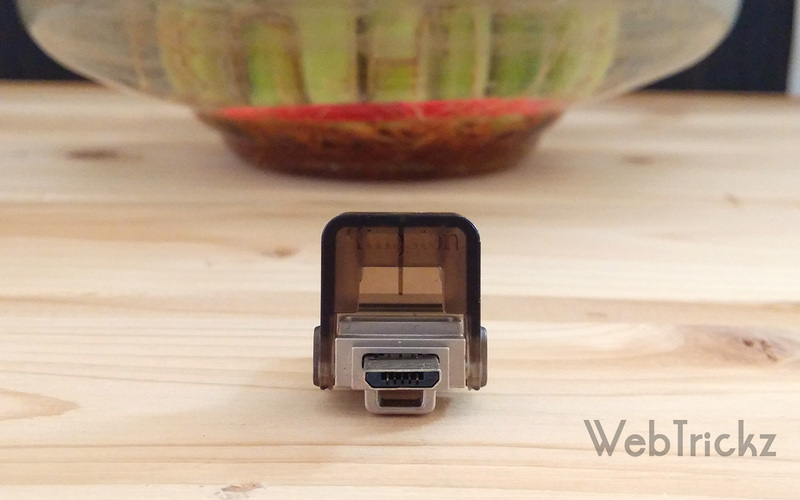 Because of its rotating cap that opens at an angle of 90-degree (while using the microUSB port), the cap may create a bit of obstruction during usage and prevents the connected device from lying flat on table. Overall, the build quality is impressive and it’s lightweight too. 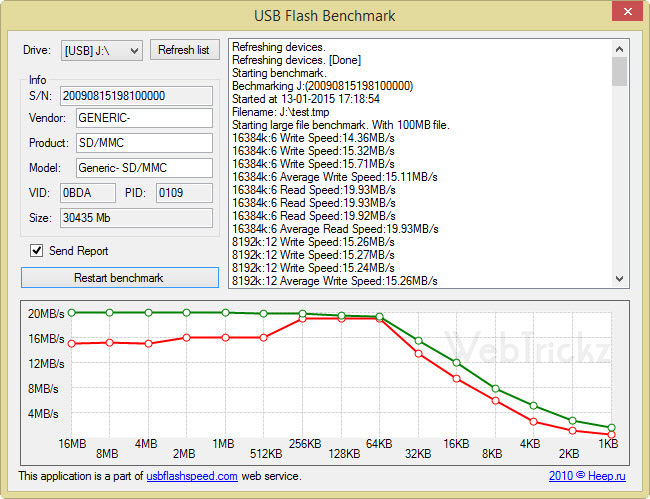 The performance that includes read and write speeds of the flash drive is what that matters the most. So, I decided to compare the Kingston DT microDuo with the equally popular OTG drive from SanDisk. The available free space is 29.2GB and it’s a plug-and-play device that gets detected automatically. You need to have a file manager app installed on your smartphone or tablet to view the contents of the drive. We performed another test to check the actual read & write speeds of these OTG flash drives on mobile, by transferring data from smartphone (Mi 3 in this case) to flash drive (to check write speed) and vice-versa to check the read speed. According to our comparison above, the write speed of Sandisk Ultra is better than Kingston DT microDuo as the time consumed is significantly lesser. 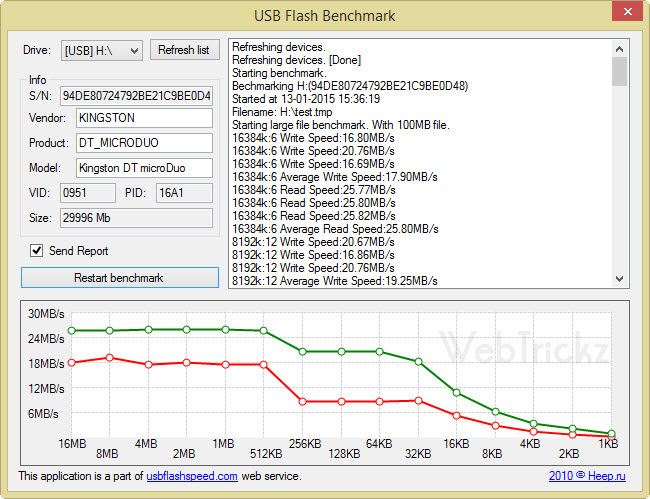 However, in same comparison the Kingston microDuo 2.0 outperforms Sandisk in terms of read speed. The “Kingston Data Traveler MicroDuo” supports Android 4.0+ devices with USB OTG support. It is covered by a 5-year warranty from Kingston. The Kingston DT microDuo is available at a price of Rs. 551 for 16GB version and Rs. 999 for 32GB version at Flipkart. This On-The-Go Pendrive is really useful, super-small and is a must have for smartphone users running short on storage space. If you aren’t impressed with its speed, then you can buy the latest Kingston Data Traveler 3.0 MicroDuo that comes with USB 3.0 interface and should be blazing fast. Do share your views with us! 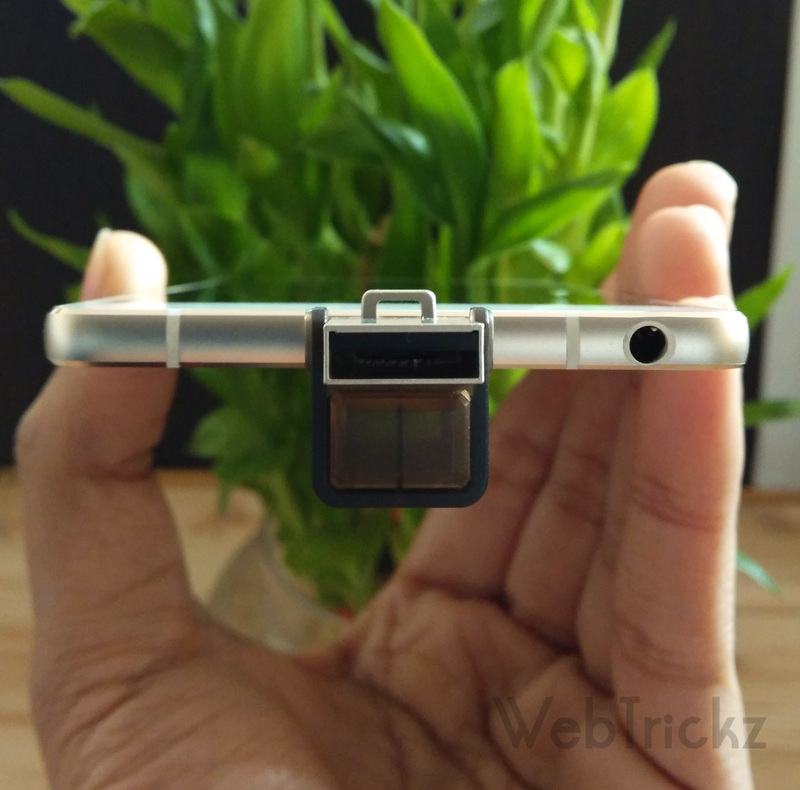 can i use Kingston Data Traveler MicroDuo 16 GB 2-in-1 Pen Drive in my lenovo a6000 phone?